Founded in 2003, Aspen Medical is an Australian-owned, award-winning, global provider of guaranteed and innovative healthcare solutions across a diverse range of sectors including Defence, Resources, Government and Humanitarian. Our focus on the final outcome is unique in the outsourced healthcare delivery industry. We offer our clients a flexible service wherever it is needed - from a single paramedic to a full-spectrum solution involving a multidisciplinary team of healthcare professionals, ambulances, medical facilities, equipment, consumables, pharmacy products, procedures and aero-medical evacuation services including the company’s own aviation assets. We operate across Australasia, the US, Africa, Europe and the Gulf Region. Aspen Medical is a leading provider of healthcare solutions in the Defence environment. We specialise in on-base health services, health support to personnel deployed on missions and on field training exercises, aeromedical evacuations, the provision of mobile deployable hospitals, medical equipment and battlefield first aid training. We became the first private organisation in the world to provide both overseas operational healthcare to Defence personnel in addition to on-base healthcare. From 2012-2016, we delivered complete on-base healthcare to the ADF, providing a broad range of multidisciplinary medical and allied health services to 52 Defence sites around Australia covering 80,000 personnel. 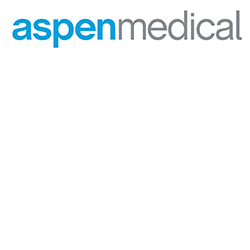 Aspen Medical offer our clients a tailored and flexible service wherever it is needed. Our competitive advantage lies in superior project management and the quality of our team. We pride ourselves on a customer-centric approach and a ‘can-do’ attitude. We are committed to achieving our clients’ desired healthcare outcomes across a diverse range of industry sectors. We are renowned for: a track record of achieving results; superior project management skills; a robust and comprehensive health professional credentialing process; our ‘can-do’ attitude; flexible and innovative solutions; customer-centric approach and a commitment to excellence.